Does the phrase “saving money” make you cringe? I promise that doesn’t need to be the case. There are tons of ways you can save some money without a lot of effort. Most of these are easy to do…some only take a few minutes and deliver long lasting results. A few of them you may even be already doing! 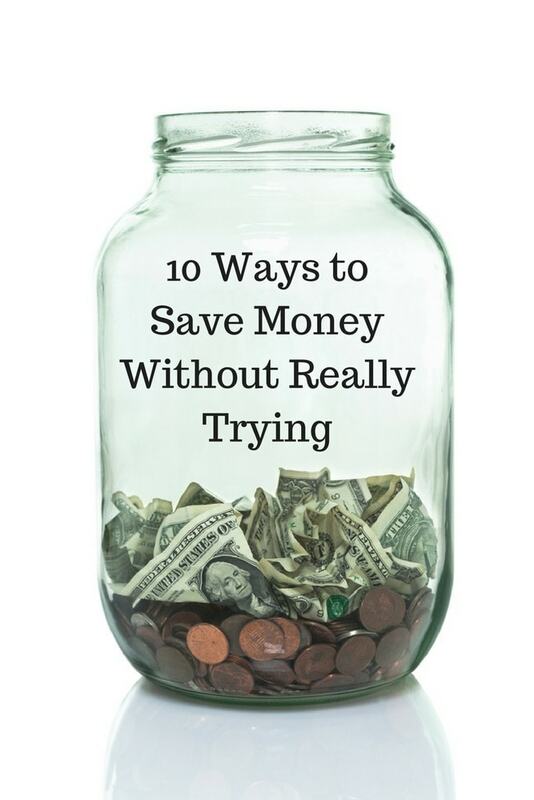 Here are 10 ways you can start saving money without really trying. Automating your savings is as easy as telling your bank to do automatic transfers each month. You can set up your bank to transfer money to an existing savings account or even one at another bank. This simple step will help you save money for years to come. You’ll spend less money, and start building your savings without thinking about it. Books are expensive, especially new ones. Even used books can still be around $5. Most of you may already have a library membership, and if you don’t, you should get one. It’s completely free, and you can check out all the books you want. Reading is a great frugal activity, and you can enjoy all the books you’ve been dying to read for free. I love my morning cup of joe, but if I were to stop at Starbucks every morning that small cup of coffee would quickly drain my wallet. If you are a coffee drinker you should consider investing in an espresso maker, french press, or even just a regular ol’ coffee maker and make your own. If you like to enjoy your coffee on the way to work, take it with you in a cute tumbler. Cleaning products are toxic and expensive. You probably already have vinegar in your kitchen along with a bunch of other ingredients that can be used to make homemade cleaning products. Skip the store bought cleaners and make your own instead. Vinegar can be used to clean and make many homemade cleaning recipes for less than it would cost you at the store. Unless you live by candlelight, most of us rely heavily on our lights to keep our home bright. Believe it or not, this is one of the easiest and quickest savings you can master. Upgrading your light bulbs could save you around $50 a year on your energy bill. All you have to do is switch them out for LEDs or energy-efficient light bulbs, and you’ll start seeing savings right away. Entertainment doesn’t have to consume your paycheck each month. There are endless possibilities when it comes to enjoying frugal fun. Plus, this way you can keep more of your money in your pocket. Be on the lookout for free or low cost events near you such as concerts, festivals, and fairs. You can still watch your favorite shows without paying for cable. Try out a subscription service such as Netflix, Hulu, or Sling TV to watch all your favorite shows for less than the cost of your cable bill. You can also get some of your favorite channels at no cost using an antenna or by watching them online if you don’t want a subscription service. The key to buying less things is making the things you have last. Before you throw something away, see if it could potentially do the job of something else you need. Take care of the clothes you buy, and learn how to extend the life of your groceries to get the most use out of everything you own. If you are a responsible credit user, taking advantage of credit card rewards can help you earn money just by making your regular purchases. You can even save your rewards points to pay for vacations and more. Credit card rewards are a great way to add to your savings, and passively save money without even trying. Anytime you get a tax refund, birthday check, or a bonus, put that money straight into your savings account. Since you weren’t expecting the money anyway, you won’t even notice. At the end of the year, you might find you’re sitting on a nice stack of money from all those savings. Do you have any tips to share? Connector, Believer in Good, California girl living in the Midwest, host, speaker, author, correspondent, Mom. Welcome to Pretty Extraordinary -- a place where you can ditch perfection, embrace the juggle and come away celebrating small victories. My "pretty extraordinary" life is based in St. Louis (with my heart in my hometown Los Angeles) where I live my version of “good enough” as a proud mother to my two small people, Delaney & Cooper! 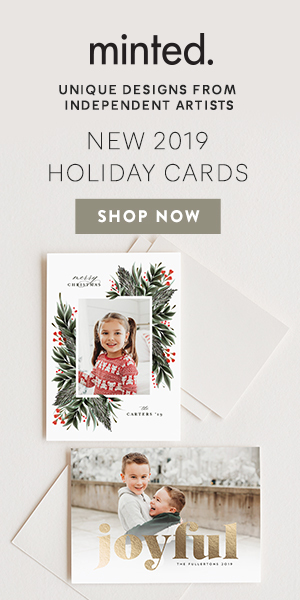 Pretty Extraordinary contains affiliate links through out sections of the site in the form of links to some of the products we mention. Simply, this means if you purchase a product you love via clicking on a link, we may get a commission from your sale. This costs you nothing. We only work with brands and companies we feel are a perfect fit for us and for you. OUur testimonials and opinions are ALWAYS my own. Thank you so very much for continuing to support Pretty Extraordinary and allowing us to bring you our very best. Copyright © 2019 · 330 Media.